ANAMBRA— SARS, acronym of Special Anti-Robbery Squad, has, for too long, been a sore and sour point in Nigeria's security apparatus system. Following sustained and collective outcry against acts of impunity by operatives of the Special Anti-Robbery Squad (SARS), the presidency and the Police top hierarchy have recently reacted to calls by Nigerians on the social media platforms for the scrapping of SARS. Among the allegations against SARS operatives were complaints of wanton and illegal arrests, execution of extra-judicial killings, physical assaults, intimidation, accusations of fraud and forcefully dispossessing people of their money and property, amongst other vices. However, some of these outrageous and devastating acts of terror that have been and are being meted out to innocent citizens by the rampaging operatives of SARS are normally instigated by fellow Nigerians against one another. For instance, there are cases involving recovery of simple debts which have nothing to do with crime being reported to SARS by another more powerful and highly connected Nigerian for urgent acidic and devastating action. Yet, SARS, ever ready to do the bidding of the money bags, deservedly end up being the fall guy. Today, in Nigeria, a lot of atrocities has been happening under the watch of our so-called political leaders who always feings ignorance, allowing evil to be continually perpetrated against the common and less-privileged persons in the society who does not have anyone to speak for them. But Biafra Writers who strongly subscribes to collection of facts and investigative journalism is here to expose such evil and let it known to the world that the Nigerian security agencies especially the Special Anti-Robbery Squad (SARS), remains the most deadly terror group in Subsahara Africa. An adage has it that evil will prevail if the righteous many keeps silence over the evil deeds of the wicked few. If we did not have a justice system that does not appear to easily recognise the rights of ordinary peasant citizens and remedy their violations with promptitude, the urgent and inescapable need for restructuring SARS might not have arisen at all. Though the wheels of justice grind slowly, Justice, a destination is always assured. The interview below was granted to our Correspondent in Anambra State by an eyewitness who narrated his sordid and painful encounter in the hands of the Anambra State chapter of the SARS agency, located at Awkuzu in Oyi Local Government Area. Mr. Nwodo Johnson(real names withheld for security reasons) arrived our newsroom on Sunday, December 3, 2017, by 11:00am with a heavy heart and tears flowing down his cheeks. Regaining calmness after a period of time, he narrated how it all happened when he found himself in the custody of the SARS. Good morning Mr. Nwodo, you are welcome to Biafra Times/Writers' newsroom. You appeared to be crying as you came in, what is wrong? I am crying because of what a fellow man is doing to another. I can't bear this anymore, this wickedness is too much. People are dying everyday at the hands of these criminals they called SARS and nobody is reporting it in the news. Please, could you calm down so we can understand what exactly happened. What took you to SARS? ...(digressing a bit). Please I need you to give me the phone number with which to contact Radio Biafra London. I would like to speak directly with Mazi Uche Mefor after this interview, I want the whole world to know what evil these SARS are perpetrating on daily basis here in Anambra state. Mr. Nwodo, we understand how you feel, but you have to calm down and inform us on exactly what happened in SARS after which we give you the number you requested. I had a misunderstanding with someone I did business with. My business is buying and selling. This person brought me goods to help him sell, and afterwards, we had a little misconception about how much I sold the goods, and so, he rejected the amount of money I actually sold the goods and rather decided to join issues with me. All of a sudden, he went and invited the SARS from Nneni station who came to my shop on November 25th and took me to their station. Where is the SARS station in Nneni located and what happened when you got to the station? The station is very close to where Chief Anthony Erukeme's (a.k.a Toni Mas) Aluminum factory was built at Umudioka village along St. James Catholic Church Nneni in Anaocha local government area of Anambra state. What do you know is the connection of Tonimas to the SARS station in Nneni? Chief Anthony Erukeme, popularly known as Tonimas, is a great business man who deals on oil and gas with many production factories in Anambra state. It was him who built the SARS station and handed it over to the then Anambra police commissioner. So what was your experience when you arrived the station? I saw hell! That hell which was been talked about is actually in the custody of these murderers. The inhumane torturing is very high in the SARS station. There are two cells there in Nneni SARS, cell 1 and cell 2. The SARS officers in Nneni controls the cell 1, while the cell 2 is an affiliate of Awkuzu SARS station. It is in the cell 2 that the hell I talked about was taking place. The inmates of cell 2 are passing through hell, they were brutally tortured and starved to the point where they keep begging those in cell 1 to sweep the crumbs of bread that fell down on their contaminated floor for them to eat in order to have something in their stomachs. They even drag dirty empty satchets of water among themselves which has been sucked dry and thrown to them from cell 1. Many died out of hunger and out of contraction of diseases always in cell 2. Someone even died and was taken away the day I arrived. This is very pathetic. From your explanations, it appears you were in cell 1, and can clearly see the occupants of cell 2. Could you tell us the proximity between these two cells? Yes. I was lucky to find myself in cell 1. There is a passageway that separates the two cells which faces each other directly from the left to the right and each cell has a heavy iron bars that barricades the inmates in both cells from movement. Could you tell us the maximum number of people in each cell, was the cells spacious enough? (With shaky voice and bitterness, he broke down in tears and continued). Each cell has a minimum of 80 to 100 men confined in one tiny room without much ventilation which also has a toilet inside each of them. Spreading of diseases and contamination is very common there. So, if someone did not die at the hands of the SARS, he will definitely die from contracting diseases, this is the situation going on there. Is there anything else you would want us to know? Yes of course! The moment a new person is abducted and brought in, the whole inmates will swarm on you like bees, they all will be full of enthusiasm to know whether your people was aware you were there. If then the answer was yes, then they will heave a sigh of relief and begin to tell you their ordeals and as well give you their home addresses and phone numbers of their families begging you to go and inform them about where they are kept incommunicado since their abduction because they believe that since for the fact that your own family knew you were brought there, they must come for your bail out soon. Does that mean the officers on duty doesn't allow those inmates to communicate with their families? Yes, they do not allow anyone to have possession of his phone. The moment you were brought in there, they will strip you naked and take all your belongings including your phones and wallets and any particulars found on you even ID cards. They will collect all these things, preventing you from communicating with the outside world. It is really terrible indeed. A young boy called Promise with his friend who was with him when they were abducted together from Awada around 8:00pm, some few months ago were among the many others that gave me their family's contact addresses. But unfortunately, this Promise and his friend and one other man was among the people killed that very night of Tuesday, November 28, 2017, after he (Mr. Promise) has written his address and handed to me from cell 2 that afternoon and was begging me to make sure I meet his people before his demise in the following evening. Promise asked me to visit his brother, Mr. Okechukwu Olisa who lives and trades on tomatoes and beverages at Onitsha. When I asked Promise his brother's phone number, he broke down in tears because he couldn't remember the digits anymore which is why he didn't include it in the address he gave to me. Also, one Mr. Njoku from Imo State but resides in Port Harcourt gave me a phone number to call his family and inform them about his whereabouts. He told me he went to Upper Iweka Onitsha for a waybill that should be delivered to his customer the next morning at Abuja before he was abducted near the flyover that fateful evening and was taken to Awkuzu SARS station and from there to Nneni station after spending three months without anybody being aware of his whereabout. One other person was Mr. Obinna who resides at Fegge Onitsha,but hails from Oraeri in Anambra State. He has spent four months at Awkuzu SARS before being transferred to Nneni SARS station. What effort have you made to contact any of these people's families? I have called the family of Mr. Njoku and his wife was weeping over the phone and told me they had searched everywhere for his husband to no avail. Right now, she is going through court processes to have her husband bailed. I have equally visited the family of Mr. Obinna at Fegge Onitsha and narrated the story of how I met their son in the cell and they too are making plans to have him bailed out before it is too late. Could you explain the circumstances leading to the extrajudicial executions of Mr. Promise and other inmates as stated earlier? Yes, Promise, his friend and one other man was killed on the night of November 28, 2017. 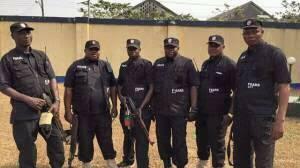 The Chief SARS officer who was on duty that very night was known as Eze, who hails from Nsukka in Enugu state. I didn't have the opportunity to inquire about his rank, but the way his name was been mentioned often made me to realized that he was the man in charge that night the killing took place. The real incident took place around 11:30pm when we started hearing sounds of vehicles trooping into the station and those inmates in Cell 2 who has become very familiar with every moves in the station told us that the vehicles trooping in was from Awkuzu SARS station. They stated that it is either they are bringing in new inmates from Awkuzu SARS station or they have come to take some people to be killed that very night. Being a new person there, I didn't quite understood what they were talking about until it happened right in my face but all I could remember was that if any inmate was taken out from the Cell 2 at night, no one will ever see him again, meaning that they would kill and bury his corpse. Moments later, we started hearing footsteps in the passage and shouts of commands by the SARS officers ordering everyone to lie down facing the ground. So, we all laid down with our faces on the ground but I managed to keep peeping on them to see what happens, and I found out that these soulless men were all wearing masks on their faces during the operation, it was then that I realized that they have something sinister other than cell routine checking. They took three inmates which included Promise and two others. As they were been led out to the passageway, I raised my head a bit and discovered that their hands were tied to their backs and their faces covered with polythene bags. Few minutes after they left, some inmates started crying especially from Cell 2 because they knew that was the end of those their fellow inmates. They knows what fate befalls their inmates that night. They went on to explain to me that the SARS officers does not kill their victims with guns to avoid suspicion from the neighborhood, they usually strangles them with the polythene bags covering their faces, making breathing difficult for them. They also stab them with dagger to make the process faster before they cut open their bodies, probably harvest their organs before throwing them into a pit at the back of the dungeon and finally pouring raw acid on the corpses. We kept hearing soft sounds of groaning and landing blows from the outside until around 4:00am when the operation was apparently over. It was then that the vehicles carrying those murderers started leaving the compound. And I never set my eyes on Promise and the other two even after I was released. Biafra Writers investigation into this heinous crime has come out with the secret system of killing used by these criminals in police uniforms. 1) The Nneni SARS dungeon was the product of the mastermind of Chief Anthony Erukeme a.k.a Tonimas who built the station singlehandedly for the Nneni SARS and instructed them to avoid bringing Nneni people to the dungeon for whatever reason. 2) The Awkuzu SARS unit uses the Cell 2 of the dungeon in Nneni station as the dumping ground where for victims whose whereabouts was still unknown to their people for a period of 3 to 4 months after which they will be killed. This explains the reason why the inmates of cell 2 are always starved because they see it as a waste of money to keep feeding them since they will be eventually executed by the SARS operatives for their own dirty business of harvesting and selling their organs. 3) Having noticed that people are now aware of the inhumane torturing going on at Awkuzu SARS station, they usually transfer those abducted usually by night to that remote dungeon at Nneni village in Anaocha local government area of Anambra State where they occasionally carry out their killings by night. 4) The Nneni SARS officers and their Awkuzu counterparts are working in unison in the perpetration of these many heinous crimes but the Awkuzu SARS officers takes precedence over the crime taking place there. 5) Harvesting and selling of human organs for economic purposes, is done on regular basis between the SARS officers and their unknown customers who buys the human organs. 6) Strangling and stabbing with daggers and pouring of raw decomposing acid are among many inhumane tortures going on in both Awkuzu and Nneni SARS stations. 7) Chief Anthony Erukeme a.k.a Tonimas has some cases to answer in this ongoing crime because the way he is being hailed and welcomed with gun salute by the SARS officers whenever he visits his factory, is questionable. An eyewitness who pleaded anonymity revealed that he (Chief Anthony Erukeme) was sighted along the Nneni SARS station on December 1st, 2017, just two days after the killing of Promise and others took place, when he visited his factory. The eyewitness narrated how the officers welcomed him with shouts and many gun salutes which according to him, was more than the usual way they welcomes him. Biafra Writers are by this report making it known to the entire public more especially the Anambra citizens to hold the State Commissioner of Police and all the SARS officers in the state responsible for these barbaric crimes. Recall that a reputable world human rights body, Amnesty International, through her report few months ago indicted the SARS officers in Nigeria of enriching themselves from extortion and bribes. This latest investigation from Biafra Writers journalists is a more far cry to the testament of the real truth contained in Amnesty report. It has exposed even more, the infamous and shady dealings of the SARS officers in Nigeria and the source of their inordinate and illegitimate source of wealth. It is now obvious their source of income is sometimes being generated from no other means than money gotten from the illegal trafficking of human organs being harvested from innocent citizens of the country who fell victims to the SARS operatives. Biafra Writers is by this report, calling on all humanity to rise and #EndSars.